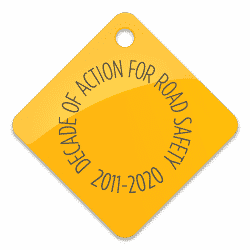 Over the past 10 years road safety has been increasingly recognised as a serious issue for development both nationally and regionally across the EASST region. To celebrate our 10th anniversary we have published an impact report and video looking back at our work on road safety capacity building and development since 2009. The report ’10 years of saving lives: road safety capacity building and development’ covers many of EASST’s biggest achievements from improvements in enforcement, education and engineering, to post-crash response and inclusive mobility. While also discussing the geographic, political, social and economic challenges faced in the region, and how we seek to address them as we keep momentum to reduce road deaths by 50 per cent by 2030. 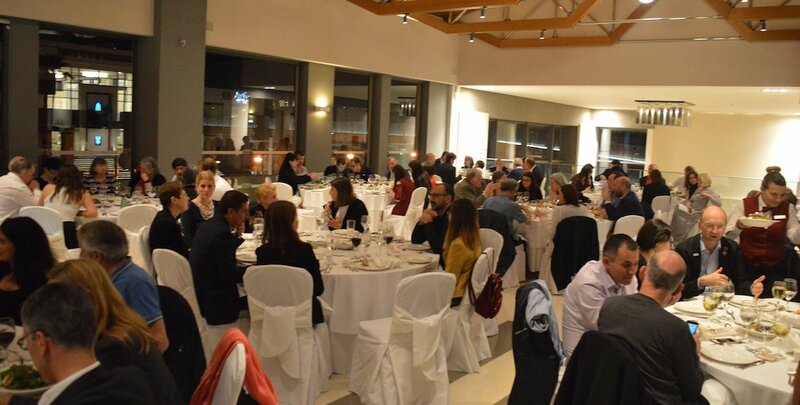 The report and video were both launched at a special reception and dinner in Chania, Crete within the framework of Sixth Global Meeting of the Global Alliance of NGOs for Road Safety, where we were able to express our gratitude and appreciation to our core partners, friends and sponsors for their invaluable assistance and support. With particular thanks to the FIA Foundation, the Alexander Mosley Charitable Trust, the European Bank for Reconstruction and Development (EBRD), the Asian Development Bank (ADB), the International Road Transport Union (IRU) and IRU Academy, Kier Group plc, Fedex, the Safer Roads Foundation and Shell Group, along with many other local project partners and sponsors. By supporting a network of locally-based, home-grown road safety activists and professionals, we have been able to lay strong foundations for addressing preventable deaths and injuries. And, as our partners have grown into local road safety experts and leaders, they have been able to sustain road safety as a public priority, each working closely and flexibly with key stakeholders in the region to achieve needed reforms. In road safety the job is never done – but every achievement by our partners is a further milestone towards a much safer and happier future for their countries. In recognition of their recent achievements we awarded several EASST partners with special prizes. In honour of late advisory board members, the inaugural Tony Pearce Memorial Award was awarded to the Public Association ‘Road Safety’ Kyrgyzstan for their work that has enhanced road safety in Bishkek through improved road engineering and infrastructure solutions, and the Lord McCluskey Memorial Award was received by the Partnership for Road Safety Georgia for their contribution to the introduction a Demerit Point System to prevent traffic law violations. The Belarusian Auto-Moto Touring Club (BKA) won EASST’s 10th Anniversary essay competition “What does it mean to be an EASST partner?” with their heartfelt and emotive submission. As we look ahead to the next 10 years, and hope to build on all that we have achieved so far and expand our partnerships – both regionally and internationally – to achieve our common aims of safer, cleaner and more inclusive mobility for all. Poghos Shahinyan, Executive Director of the Armenian National Road Safety Council, and founding member of EASST.